The Odisha State Cooperative Bank (OSCB) Bhubaneswar invites applications for recruitment of Chief Executive Officers for the District Central Cooperative Banks in Odisha. The last date for submission of applications is 30th April 2016. Angul United Central Cooperative Bank Ltd.
Aska Cooperative Central Bank Ltd.
Balasore-Bhadrak District Central Cooperative Bank Ltd.
Banki Central Cooperative Bank Ltd.
Berhampur Cooperative Central Bank Ltd.
Bhawanipatna Central Cooperative Bank Ltd.
Bolangir District Central Cooperative Bank Ltd.
Boudh Central Cooperative Bank Ltd.
Cuttack Central Cooperative Bank Ltd.
Keonjhar Central Cooperative Bank Ltd.
Khurda Central Cooperative Bank Ltd.
Koraput Central Cooperative Bank Ltd.
Mayurbhanj Central Cooperative Bank Ltd.
Nayagarh Central Cooperative Bank Ltd.
Sambalpur District Central Cooperative Bank Ltd.
Sundargarh District Central Cooperative Bank Ltd.
United Puri-Nimapara Central Cooperative Bank Ltd.
(1) Graduate with CAIIB (both parts) / DBF / Diploma in Cooperative Business Management or equivalent qualification (OR) Chartered / Cost Accountant (OR) Post Graduate in any discipline. 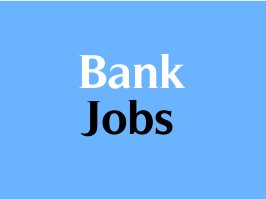 (2) The candidate should have at least eight years' work experience at the middle / senior level in the Banking sector. Senior / middle level for the purpose shall be taken as the third level (scale / cadre) onwards (i.e. excluding the first two levels (scales / cadres) in the officer cadre) or as the highest two levels (scales / cadres) below the level of CEO. Selection Process: The selection may be through the Institute of Banking Personnel and Selection (IBPS), Mumbai preferably through a Viva Voce Test and Group Discussions (GD). How to Apply: Eligible candidates have to submit the filled in application in the prescribed format along with photocopies of all the required certificates / testimonials. Completed applications should reach to THE MANAGING DIRECTOR, ODISHA STATE COOPERATIVE BANK LTD. PANDIT JAWAHARLAL NEHRU MARG, BHUBANESWAR - 751 001 on or before 30/04/2016.